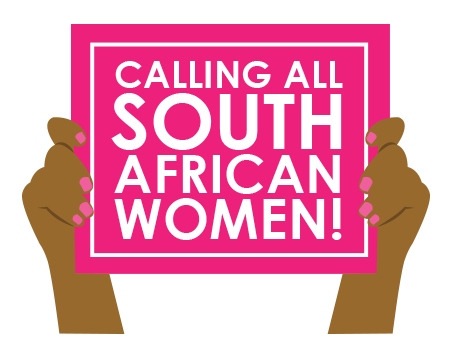 At Sarah Elizabeth, our vision is to offer products that uplift and inspire confidence in South African women. A properly fitting bra not only looks great but is essential for your health, comfort and posture. It should give you great shape and protect your breast tissue as well as your back, neck and shoulder muscles. I am sure that you will agree that when you wear a bra you feel good in, you project confidence and positivity. whether you have been fitted professionally or not, judge a bra by how it feels on you. It should be supportive, comfortable and you should feel great wearing it. Don’t be intimidated when trying to figure out your size. band will leave you without the proper support! Delivery, Returns and Refund page. So ladies, have some fun browsing and shopping at Sarah Elizabeth. Follow the easy guidelines below and if you need some personal advice, give me a call or get fitted Let us help you put your breasts in their place! It is very important to remember the band around your body should provide nearly all the support and needs to fit snugly, but comfortably. However, you should still be able to slide your finger under the band. The band of your bra should be positioned in the middle of your back, creating a horizontal line and it should not rise up! If it is riding up, it is too loose and you need to decrease your band size. Remember, you may need to adjust your cup size. By changing your band size, it is more than likely your cup size will have changed. General rule is if you decrease band size and your cup was fitting properly before, then you should increase your cup size. For example: A previous 38B now dropped two band sizes; so goes up two cup sizes to a 34D. Your new bra should be comfortably fastened on the last or second to last eye, allowing you to adjust the fit as needed. With wash and wear your back band may stretch. Moving to the inner hooks will continue to give you the support you need. Your breasts should still be fitted comfortably and enclosed in the cups of your bra. There should be a smooth line where the top the cup meets your breast. The wires in the front should lie flat against your breastbone and under your breasts. When your back band is fitting correctly and your breasts are comfortably supported by the right size cup; congratulations you are wearing the right size! Your breasts are leaking out the bottom of the bra. Your comfort and support are our ultimate concern. So regardless of whether you have taken a bra fitters advice or not; find the bra that you enjoy wearing and makes you feel confident. If you have any queries or require some advice, don’t hesitate to give us a call. Fit may vary between styles and brands, but there is always a Sarah Elizabeth consultant waiting to help you find that bra that makes you feel great. You might have noticed that most of our bras start from a D Cup. Please remember that most women are not wearing the proper band size, and should go down a size or two. When you go down in your Band, you need to go up in your Cup size. So generally women start wearing bigger cup sizes. Many women wear bras that are too small for them because embarrassed or unwilling to admit that their breasts are larger than a B or C. See our FAQs for more on ” A ‘D Cup’ is really not that big”. This is the starting point to finding the bra that fits you perfectly. Now go and discover the styles that you love and have some fun shopping!